This is a classic dish in our home for Easter lunch. 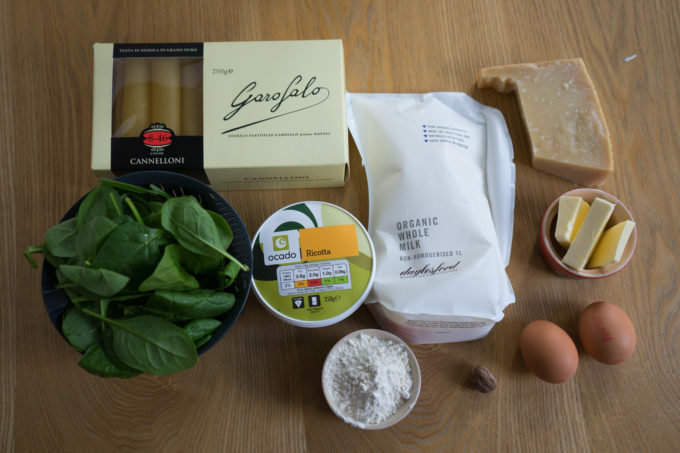 Sadly anyone who has had the frozen or ready-made versions of cannelloni may shudder at its mention but the real deal is exactly that. 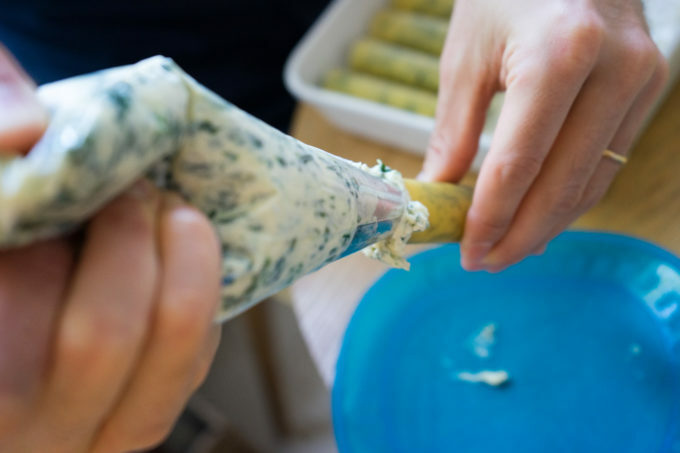 Fresh ricotta mixed with spinach and stuffed into pasta tubes can only be delicious. 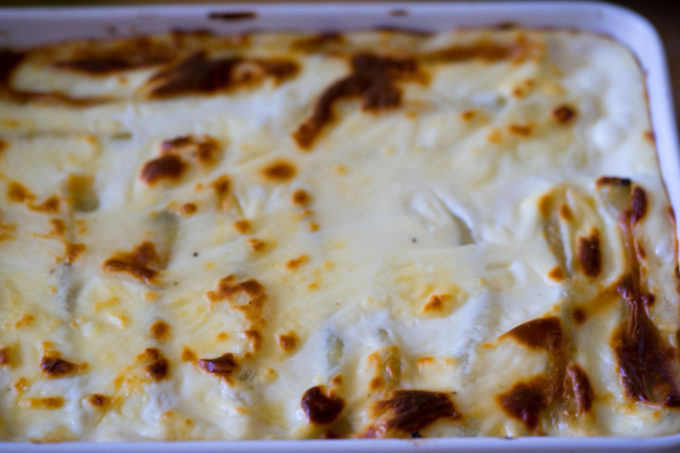 Layered with béchamel sauce and baked makes a delicious first course. 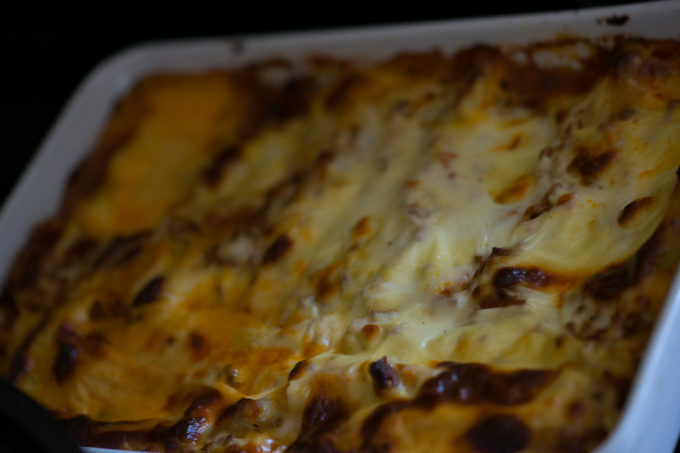 If a layer of ragu is added, it becomes the feature dish that no one can get enough of. 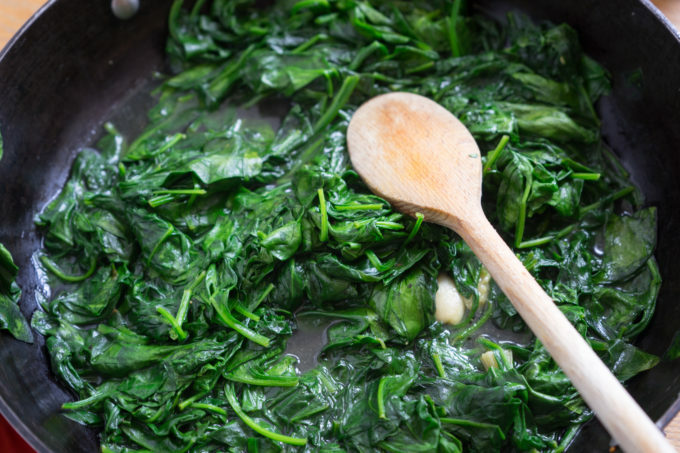 Cook the spinach in a large frying pan over high heat, covered. When all the spinach has wilted, remove from the pan and add to a colander. Press the spinach out with the back of a wooden spoon to release as much moisture as possible. 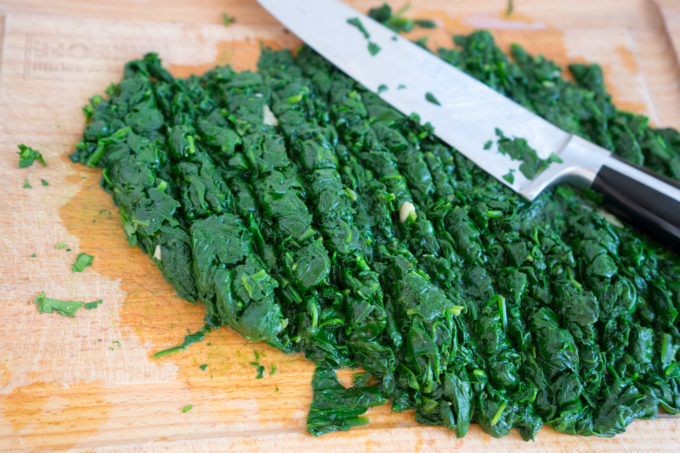 When cool, chop the spinach. 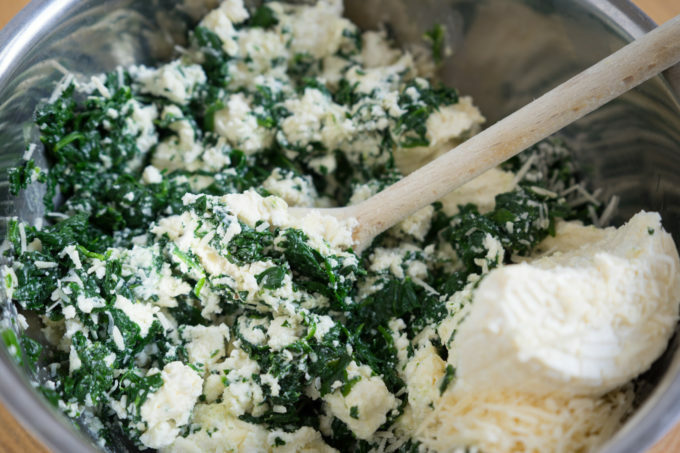 Mix the spinach with the ricotta, Parmigiano-Reggiano cheese, eggs, nutmeg and salt and pepper to taste. Place the mixture into a pastry pan with a large nozzle (no larger than the circumference of the cannelloni tube you are stuffing). Pipe the filling into the cannelloni. 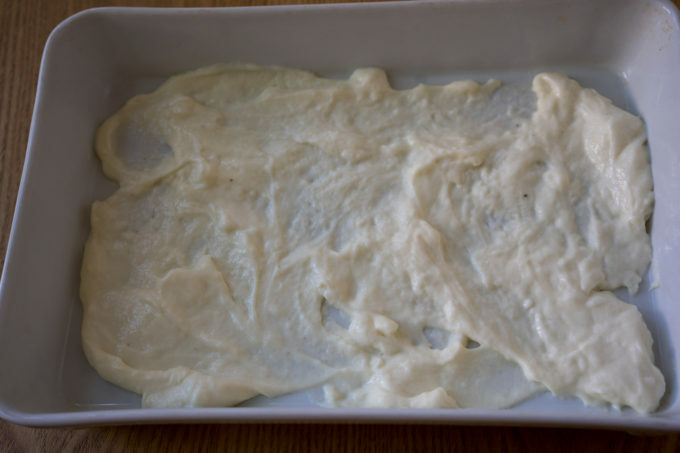 Evenly spread ½ cup of the béchamel into the bottom of a rectangular baking tray. 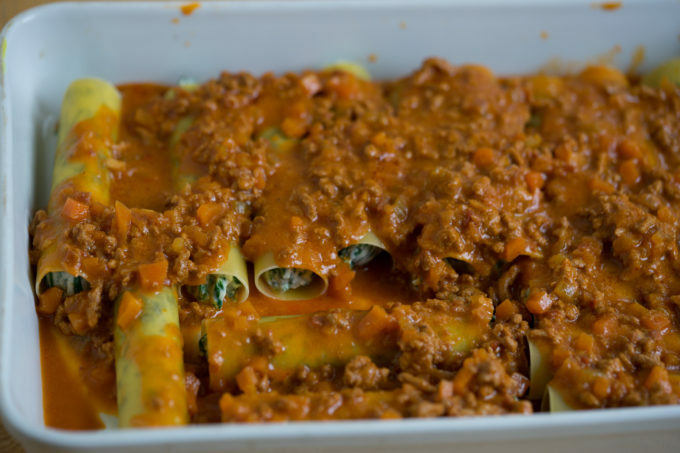 Top with the cannelloni. If you like, add a layer of ragu sauce on top. 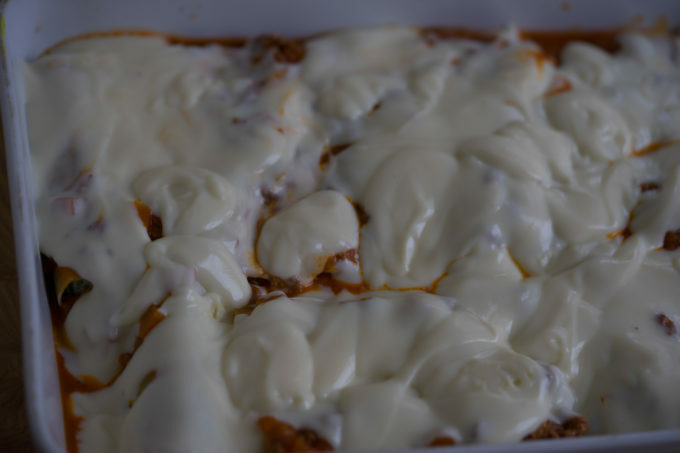 Finish with the rest of the béchamel sauce spreading evenly. Bake for 50 minutes or until the pasta is cooked through and the top is golden.